It's difficult to overstate how big of a deal Hogmanay is in Edinburgh. Though the city is rightly famed for its summer festival madness, Scotland's capital truly pulls out all the stops when it comes to ringing in the new year, with incredible live music, performances, fireworks – and too many ceilidhs to count. The 2019 programme promises to be no different except bigger, with its most international scope to date. Edinburgh's Hogmanay kicks off every year with its Torchlight Procession (30 Dec), a tradition harkening back to Scotland's Viking roots. 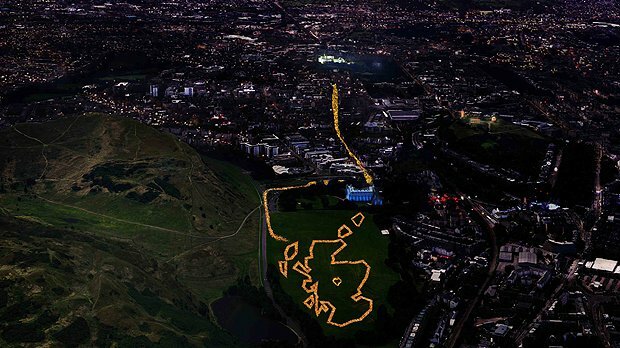 Thousands of torchbearers will make their way down the Royal Mile to Holyrood Park, wherein they'll form an outline of Scotland's distinctive borders. At the nation's heart will be 14 wicker sculptures, each made by a young person from a different region of Scotland, to mark the end of the Year of Young People. 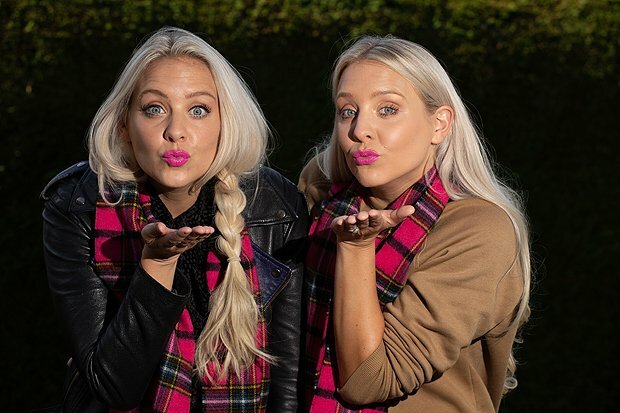 Then bid adieu to 2018 at the world's longest, friendliest – and arguably best – street party, as this year's famous Hogmanay Street Party (31 Dec) will be hosted by the likes of Love Island's Aftersun DJs the Mac Twins, Edinburgh indie rock outfit Vistas, beloved Scots singer-songwriter Gerry Cinnamon, German eurodance sensations Snap!, DJ Trendy Wendy, rock'n'rollers Miracle Glass Company and so much more. As previously announced, Glasgow rockers Franz Ferdinand will be headlining the Concert in the Gardens (31 Dec) with support from Metronomy and Free Love. 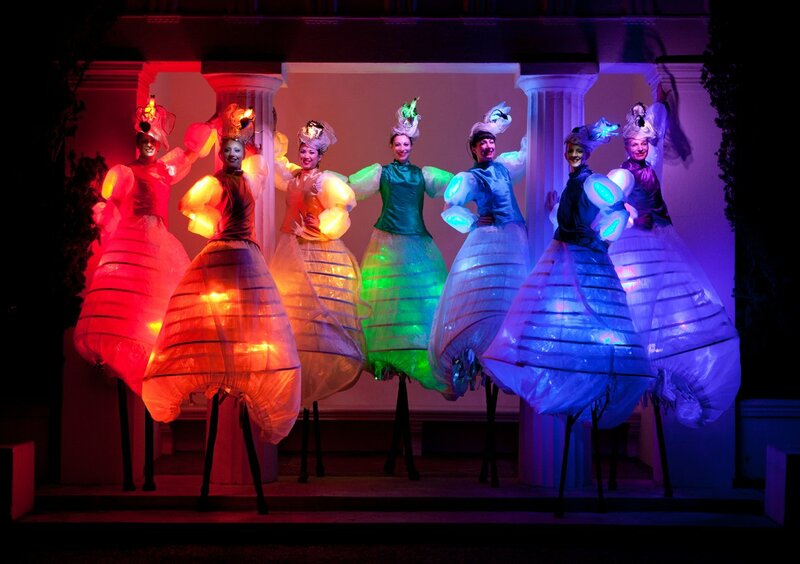 Mingling amongst the crowds will be spectacular street artistry from the French companies Transe Express and Des Quidams, sweet sounds from Diva and Districts Pipes and Drums, as well as the towering stilted-figures of circus troupe An Act Above. The Street Party will also be toasting its new partnership with iconic whisky company Johnnie Walker, with a free dram for all attendees over the age of 18. Finally, at midnight, usher in the new year to the beats of German techno marching band Meute, who will be providing the soundtrack to the iconic fireworks display over Edinburgh Castle. Keen to shake off the Hogmanay hangover? 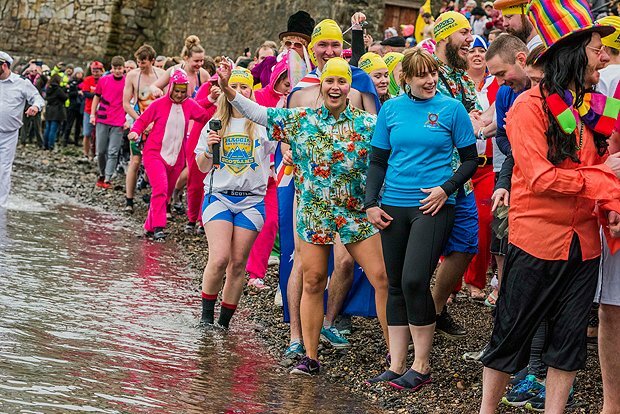 Brave the chill and take part in the traditional Loony Dook (1 Jan). Nip over to South Queensferry and take a dip in the frigid waters of the Firth of Forth with the beautiful Forth Bridges as a backdrop. £1 from every ticket sold will go towards the Royal National Lifeboat Institution. Fancy dress definitely encouraged. A major theme in this year's Hogmanay celebrations is Scotland's cultural connections to Europe, and as the UK prepares to leave the EU this March, Edinburgh's Hogmanay has invited artists and performers from the continent to celebrate Scotland's enduring relationship with Europe, come what may. The first of such events is Symphonic Ibiza (30 Dec), a joyous celebration of the famous Spanish party island beloved by British tourists, with a live 15-piece orchestra performing a concert of club classics alongside renowned DJ Andy Joyce in the majestic McEwan Hall, a new Hogmanay venue. The EU love-in continues with a performance by trad group Capercaillie (1 Jan), who will be inviting musicians from across Europe to join them on stage for a shared musical celebration, as well as an appearance by famed Galician folk star Carlos Nunez (1 Jan) alongside stars from the Scottish music scene. The literary celebration Message from the Skies (1–25 Jan) also returns, and this year will project love letters to Europe from six Scottish writers onto iconic landmarks across the city. The writers this year are Billy Letford, Chitra Ramaswamy, Kapka Kassabova, Louise Welsh, Stef Smith and William Dalrymple. For those whose days of midnight revelry are a thing of the past, Hogmanay's family programme is luckily also stronger than ever. This year's schedule includes two dates of the dayclubbing event Baby Loves Disco (30 & 31 Dec), so that families can storm the dance floor together to the beats that got us moving in 2018. In addition to a ceilidh and Auld Lang Syne practice run with 'toddler torches', there will be a host of children's activities to be enjoyed, from face painting and dress up to bubbles and balloons galore. The highly-popular Bairns Afore (31 Dec) will also be returning, with live singalong sensation Massaoke ensuring that the whole family will be dancing until the fireworks 'midnight moment' at 6pm, so that the bairns can be home by bedtime. Another new event for 2019 is the First Footers Family Ceilidh (1 Jan), a free affair taking place in the beautiful McEwan Hall that'll have everyone starting the new year off on the right foot. Famed as one of the best New Year celebrations in the world, thousands of revellers bring in the New Year in the centre of Edinburgh with a mix of live music, DJs and varying knowledge of the lyrics to 'Auld Lang Syne'. See in 2019 with headliners Franz Ferdinand, supported by Metronomy and Free Love.